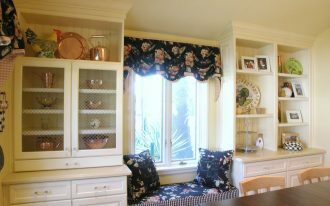 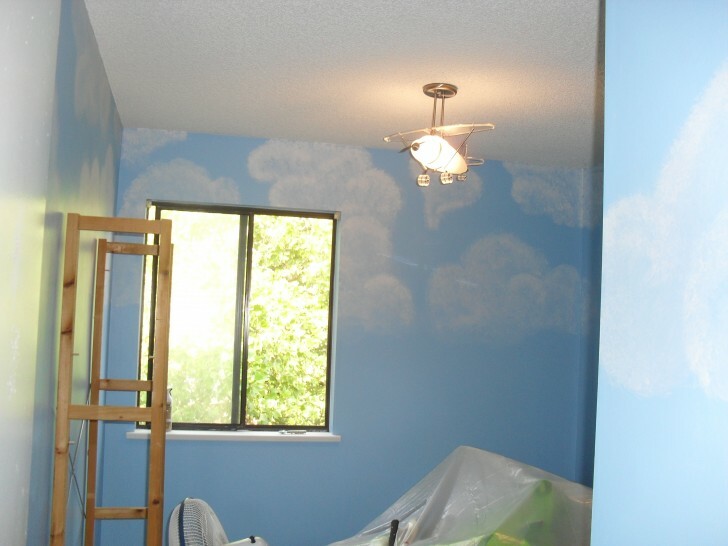 What do you feel when you see your kids happy to have his or her favorite room with beautiful decoration? 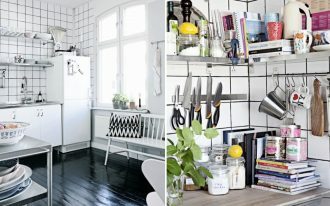 You must be happy. 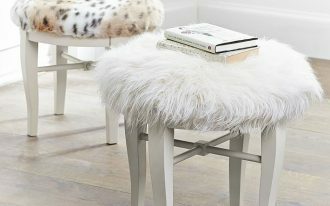 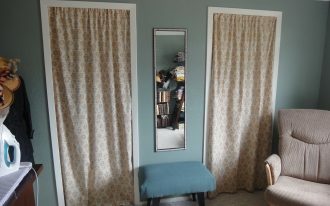 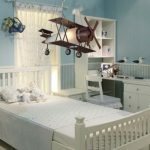 There are some many accessories that can decorate your kids room anyway. 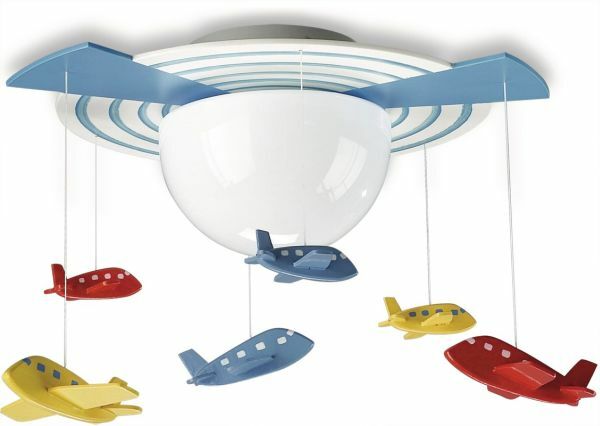 For instance, in this case you can decorate the kids room with light fixture which has airplane shape. 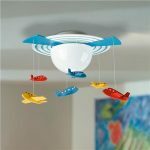 This airplane light fixture seems very suitable for boys room. 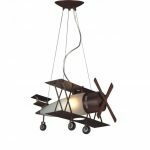 Therefore, in this post the writer would like to show you some adorable airplane light fixtures design with nice concept. 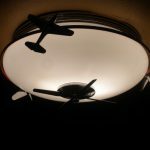 What kind of airplane light fixture can you have? 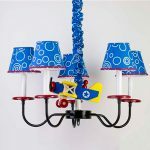 You can see in the picture, there is pendant light with five blue table lamp design with a plane decoration at the middle. 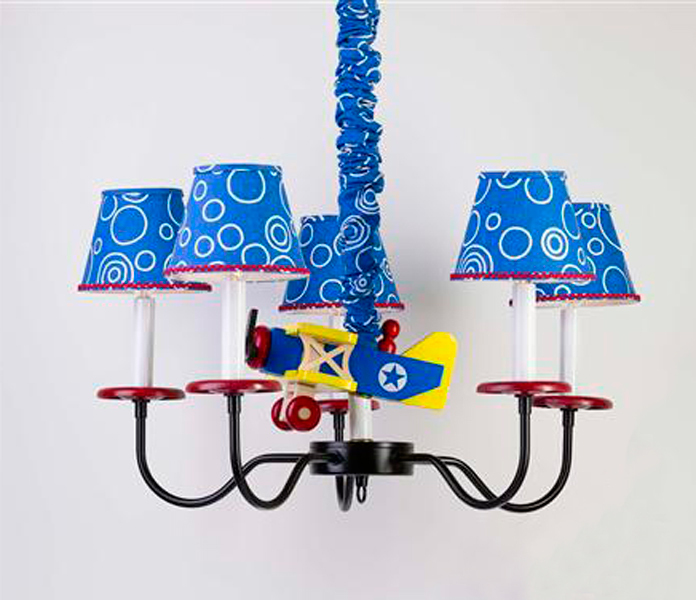 This pendant light is hanged on the ceiling. 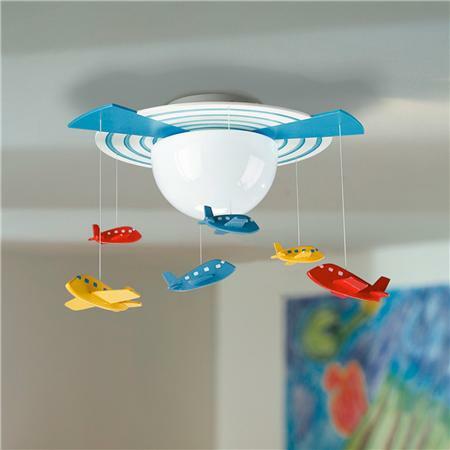 A small airplane toy seems very attractive and adorable to decorate the light. 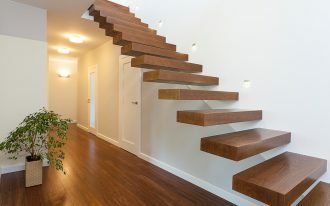 This light is small design. unlike the other airplane light fixture which also has unique concept. 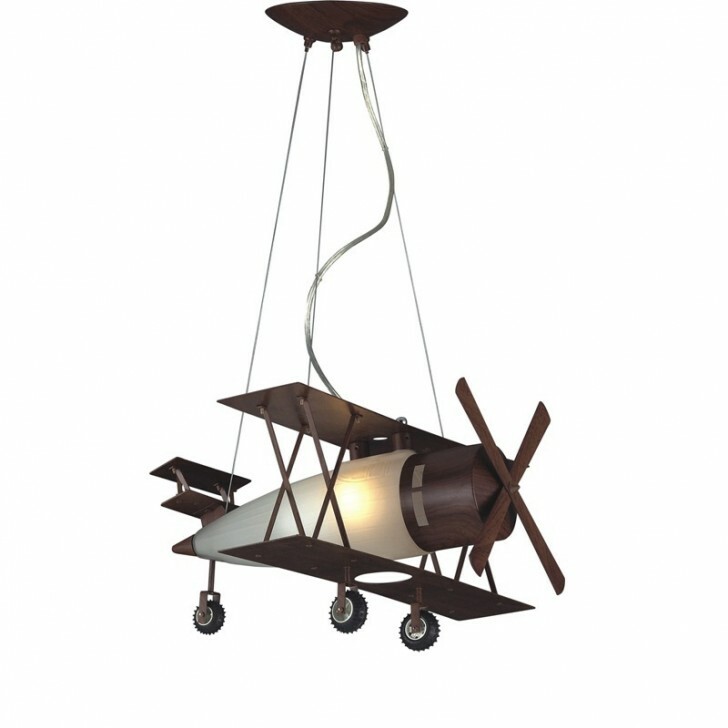 This light is put on the ceiling and has big plane shape. 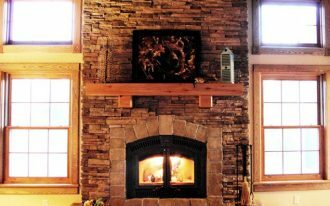 Thus, the engines of the place become the lamp for the lighting. The blue airplane light shape seems very suitable for blue kids bedroom design. 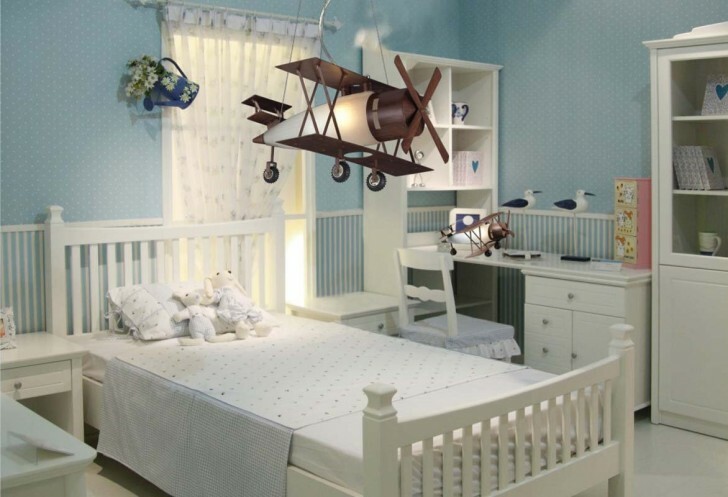 The other light fixture with airplane shape decorates the blue bedroom. 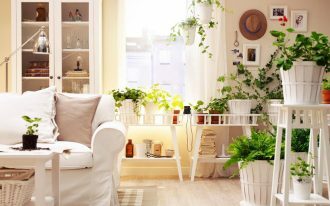 It can be seen in the picture, there is a small airplane pendant light with white coloring. 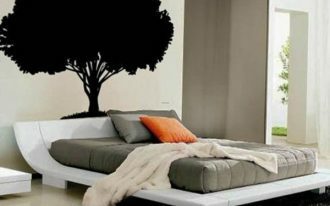 This simple lamp gives warm lighting for the room. 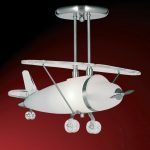 However, there is another airplane concept with very big design. 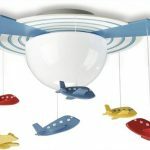 This is also kind of pendant light which it is hanged on the ceiling for the kids room decoration. 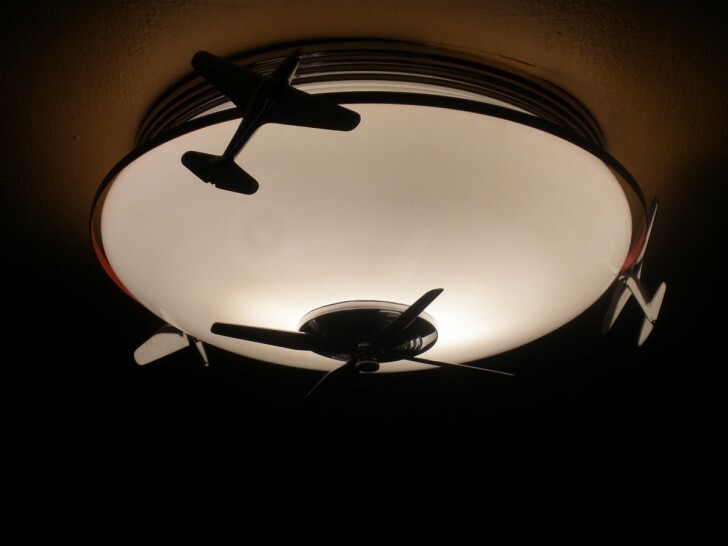 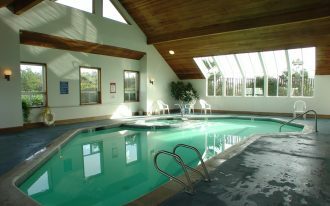 There is also another beautiful light fixture decoration which is engaged with the ceiling fan. 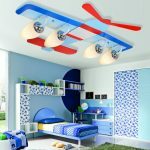 You you put a nice ceiling fan with white lamp in the middle and the you put some air planes decoration hanged on the windmill of the fan. 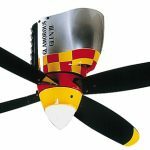 So, when the fan is twisting the planes are also twisting. 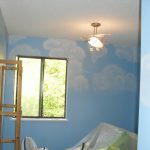 This is the best concept for kids bedroom lighting design.